Arguably one of the least sensational and most important aspects of this election year to date has been the still unfolding saga of voter registration. Burma’s election laws explicitly bar from voting a narrow segment of the population that includes convicts, members of religious orders, individuals “of unsound mind,” and debtors. Managing to avoid these designations does not, however, ensure a citizen of Burma the right to vote. At issue is the voter lists that are compiled by the Union Election Commission (UEC), in theory enumerating every eligible voter in a given ward or village tract and culling those who would not be allowed to cast a ballot for one of a few reasons, including not being resident in a given constituency for at least six months, or to state an obvious candidate for ineligibility, the deceased. The process of compiling relatively error-free voter lists depends in large part on accurate household registration data, and as many would-be voters have found in recent months, much of that information on the books with local administrative offices is outdated, missing, or flat-out wrong. UEC officials say they always knew there would be errors reported when preliminary voter lists were made public beginning in late March. The necessary contingency plans are in place to correct those mistakes before election day, they say. But as preliminary voter lists have been rolled out in four phases across the country, the scale of the inaccuracies—the opposition National League for Democracy has claimed up to 80 percent of some lists include erroneous data—has prompted alarm in some quarters. The four-phase rollout allowed voters two weeks to check the lists and make any necessary corrections, but as criticism mounted, the UEC extended public display of the lists indefinitely, a dictate that was carried out in some but not all constituencies. Fears of mass disenfranchisement, or that nefarious elements might use the inaccuracies to manipulate the vote, are not without merit. Widespread flooding that began last month has been an added headache for election subcommission personnel in the 12 states and divisions affected by high waters, in some cases posing basic logistical problems such as procuring new paper correction forms at subcommission offices that were inundated. One additional concern is that apathy could be the downfall of a voter verification scheme that very much puts the onus on the electorate to ensure mistakes are corrected. Another common complaint is that though the UEC has been saying all the right things at the highest level, staff at some local subcommissions have been far less accommodating as the voter list saga has played out. Proposals on how to rectify the situation have ranged from extending the period over which the voter lists are made public to postponing the vote. 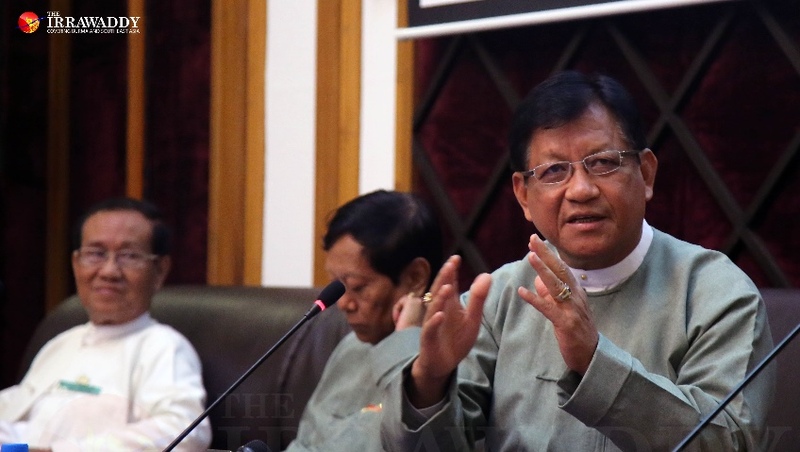 One political party leader told The Irrawaddy that pushing the vote back by up to six months would be fine with his party, if it meant ensuring the lists were accurate on election day. In the end, the UEC appears to have charted a middle course, adopting some of the suggestions put forward by political parties and civil society groups while rejecting others. One forward-thinking initiative from the UEC was to set up a website where prospective voters can run their name through the voter list database to see if it finds a match. But with most of the country offline and given that the only way to correct an error, if discovered, is to visit one’s local election subcommission office, the website only goes a small way toward achieving “clean” voter lists. In one of its latest concessions to concerned stakeholders, the UEC has said voters’ names need only be present on the list on election day, in theory ensuring that people are not disenfranchised by a mere misspelling or inaccurately recorded date of birth. Union Election Commission chairman Tin Aye addresses the media in Rangoon on June 8, 2015. The UEC next month will publicly display the lists one last time, when again voters will have 14 days to file for any corrections ahead of the Nov. 8 general election. While the voter list rollout has heaped plenty of criticism on the UEC, the commission has made efforts to inform citizens of the need to check the lists, running notices in state-run newspapers and announcements during state broadcasters’ programming; printing posters in more than a dozen different languages that explain the process for correcting inaccuracies; and even managing to get Hollywood movie star Angelina Jolie to bring attention to the issue during her visit to Burma early this month. Ultimately, the effectiveness of this outreach won’t be known until election day, when inevitably some would-be voters will be turned away from the polls because their names are not on the list. What remains to be seen is whether those numbers are written off in the annals of history as a blip on the radar of an election otherwise viewed widely as credible, or become a focal point for scrutiny and criticism in the post-election period. Top Photo - (JPaing / The Irrawaddy) A man examines voter lists posted alongside election education materials in Rangoon as a woman walks past on March 30.